I lost 14 pounds. My waist size went from 38 inches to 35 inches. I decreased body fat by 5%, gained muscle mass, and increased muscle tone. I weight train five days a week. I do an ab muscle routine every day, and I do cardiovascular training three times a week. I have reduced my intake of rice and bread, and I stopped eating fried food and high calorie meals. I feel full of energy now. Every time I see myself in the mirror, it keeps me motivated to push harder at the gym. I even have better self-esteem about my body and the way I look, especially when my friends notice that I’ve lost some weight. 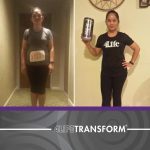 The 4LifeTransform Challenge has also impacted my business. 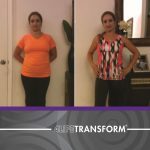 I posted my “before” and “after” pictures on Facebook, and my friends and family members want to achieve the same results themselves.